Corner joints in crown molding are "compound" because each cut end has two angles -- a miter angle and a bevel angle. 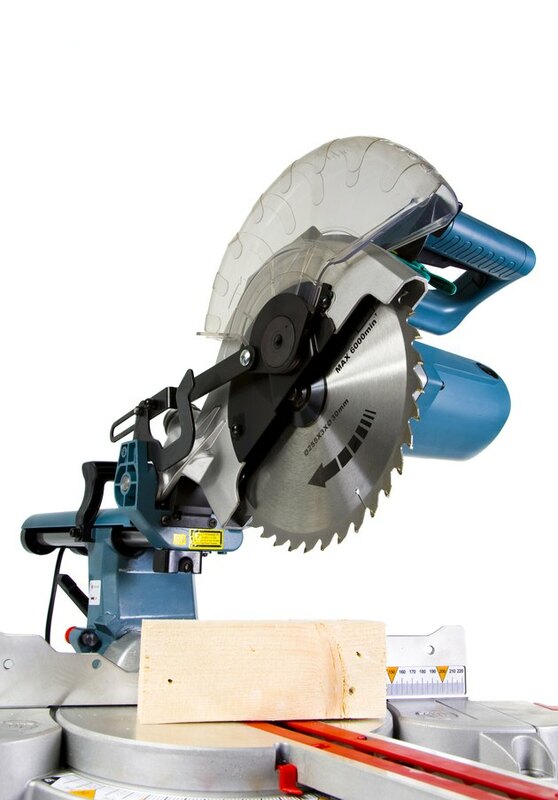 Compound saws are advantageous because the saw tilts to cut the bevel and rotates to the left or right to cut the miter, making both angles with a single cut. This also allows you to lay the molding flat on the saw table, which is particularly helpful with wide molding. Keep in mind that a standard compound miter saw tilts only to the left, so you have to reverse the position of the molding for some cuts. Use crosscut blades for clean cuts. Don safety glasses and a dust mask. Look for preset angles on the saw to cut angles for a 90-degree corner. Most compound miter saws already have correct angles for crown molding. If yours doesn't have them, rotate the saw counterclockwise and set the miter angle at 31.6 degrees. Tilt the saw to the left and set the bevel angle at 33.9 degrees. Place the molding flat on the saw table so its finished side is facing up. The top edge of the molding (the edge that contacts the ceiling when installed) should be against the saw's fence. Slide the molding to the right side of the blade to cut a right-hand piece for an outside corner. Hold the molding with one hand and make the cut. Slide the molding to the left side of the blade to cut the left-hand piece for an inside corner. Turn on the saw and make the cut. Position the molding so its top edge (the edge that contacts the ceiling) is facing your body and the bottom edge is against the saw fence. The molding should be faceup and flat on the saw table. Rotate the saw clockwise and set the miter angle at 31.6 degrees. Tilt the saw to the left and set the bevel angle at 33.9 degrees, if you haven't already set it. Slide the molding to the right side of the blade to cut the left-hand piece for an outside corner. Turn on the saw and make the cut. Slide the molding to the left side of the blade to cut the right-hand piece for an inside corner. Turn on the saw and make the cut.